There’s been a lot going on here lately. Scheduling and arranging our life to effectively fit in my hubby’s expanding business. Change up of homeschool platforms, which means additional learning for both myself and my son. Settling into a new full Fall roster of MomPositive Clients. 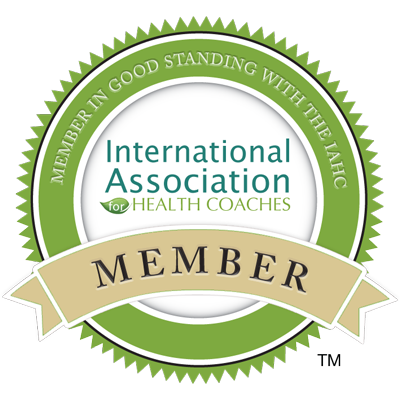 Sorting out my schedule for 2019 with The Institute for Integrative Nutrition as a Circle Coach. Taking on for my own inner work a focus class of yoga and detox. Leaning back into home cooking, container gardening, cleaning, and my many favorite life routines. Thank you, Instant Pot! Cornering out time for interviews for a variety of requests, some that I’ll share here with you today. Getting present, into the here and now. You probably have your own variety of activities and goals for the fall, don’t you? They are probably pulling you all over the place. It’s like squirrel-ville here lately, which is why I’ve set some of the inner work intentions into stone that I have. I know you can relate and you’ve probably got your own list of inner work to do, right? Life can get really busy really quickly, and it’s so easy for us to let go of what is truly most important – self-care. I do it sometimes too. I choose to work instead of work out. I choose to sort and clean rather than breathe. I choose to run through the drive-through instead of waiting until we are home and mustering the energy up to cook. I know all about it and still sometimes do it, but THE KEY IS SOMETIMES. If I choose more often the habits that support me, I feel BETTER, look BETTER, DO better! That’s why I want to offer you a list of things that are currently inspiring me to stay the course – to keep enforcing the habits that serve your body, mind, and spirit so that you can truly be present and enjoy your own life to the fullest!! Second, is the Healing Cancer World Summit by Kris Carr. I’m part of the launch team for this incredible series and blessed to support it in any way I can. In this series, you’ll find a list of specialists and experts focused on tried and true holistic approaches to heal, suppress, and prevent cancer. As Kris Carr said, “Self-care is health care – but prevention is the best medicine.” You can find your way into this free summit here: HEALING CANCER WORLD SUMMIT. Third is, Author and Olympian, Dan Millman who at this point in time is inspiring my entire family through his collection of books that reflects lessons and principles from his personal life journey and how in learning mind over body, he overcame obstacles and reached Gold Medal in the Olympics. Body Mind Mastery is my current read, I’m loving it! This is all about keeping your own bucket filled. As Mom, you are always dumping out your energy to support, serve, love on, and take care of those you love. Remember that self care can determine how you show up to do all you want and need to do. Without self care, you are sure to run out.